Even today, with the widely accepted “IT Service Provider” concept, we still need to acknowledge that there are several different archetypes of Service Providers. While most aspects of Service Management apply to all of them, some types have different meanings or require different approaches depending on which Service Provider business model you belong to, with common examples being competition, customers and strategy. As this topic is too extensive for one article, I’ll make it another mini-series, starting with Type I – Internal service provider. Internal Service Providers operate exclusively within their internal market space, which may be an internal Business Unit (BU), and they are more common than generally believed. It depends on the business, but usually, when one business unit starts to achieve large business growth, and begins earning a big enough portion of the companies’ profit – that business unit wants to ensure that all necessary resources are under its own direct control. This leads to the creation of (sub) departments, with the single purpose of providing non-core services to their BU: finance and administration, office management, customer care, human resources, fleet management, IT, etc. These (sub) departments are known as Type I Service Providers within ITIL best practice. Type I Service Providers must achieve functional excellence and cost effectiveness for their business unit, as they specialize to serve a relatively narrow set of business needs. Type I Service Providers are closely tied to their business unit in terms of familiarity with core business processes, people involved, and the importance and impact of each individual supporting process to the business counterpart. It’s worth mentioning that Type I Service Providers operate as cost centers, and their costs are part of general BU overhead. Having a Type I Service Provider is like having a dedicated VIP+ support level, but for the whole business unit. Type I Service Provider personnel are extremely familiar with business processes, internal organization and structure and BU business needs. Services provided by Type I Service Providers are custom tailored to meet specific business needs, and therefore perfectly fit business requirements. There is no need to adjust business processes in order to fit more generic descriptions of supporting services. BU managers have every aspect of internal business dependencies under their direct control. Costs of the Type I Service Provider are clearly visible, and under the direct control of the BU management. While it’s nice to have dedicated personnel to manage supporting services directly under your control, tailored according to your needs, and operating under your budget, when every other business unit head does the same thing, companies start to realize great redundancy present across a company-wide landscape. As shown on Figure 1, we have the HR/Finance/IT combo present within each business unit, doing almost the same work, providing the same services, with only minor differences in daily execution. Their growth and development are tied to the growth of the business unit itself, and the fall of the BU means end of life for Type I providers, regardless of their excellence in providing services. Corporate business functions represent the biggest competition for Type I Service Providers, as they already provide common (shared) services for multiple business units, at only a fraction of the cost. By serving multiple customers (business units), they face a lower risk of market failure. And, on top of that, with multiple sources of demand, in peak demand on one source they can offset it by low demand on another. Type I Service Providers represent duplication and waste when replicated across the enterprise. Can Type I providers exist in a modern company? To balance economy of scale and similarities in Type I providers’ scope of work, it looks like many Type I providers can be consolidated within a single organization. Such organization should be capable of delivering common services with a great deal of similarities with the previous delivery model, with all economy of scale benefits. However, there might be specific business unit needs that can’t be balanced with enterprise-level needs without great and unacceptable tradeoffs. 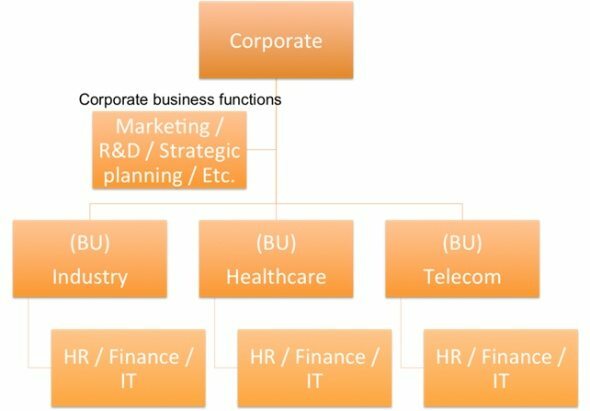 In such cases, it may be feasible to consolidate all but business unit-specific services within a single corporate business function, formerly known as Type I Service Providers. In my next article, we’ll talk about Type II Service Providers, and why they are the most common IT service provider type – so stay tuned until the next time! You can also check out a free sample of the Service Portfolio Management process to learn how to manage a portfolio of services.